During some Spring cleaning I discovered this sketchbook from college. If my memory serves correctly, I found this book. The first few pages have the barely legible writing of someone at odds with a situation and a broken heart. I chose to flip the book over and begin sketching from the other side. 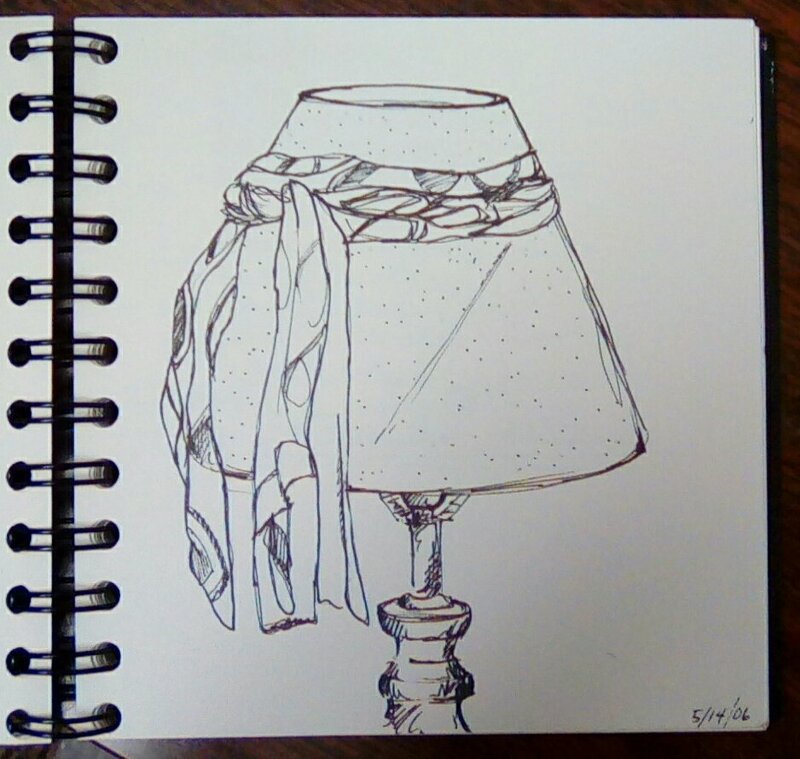 Here is a sketch of a lamp with a scarf tied around it, circa 2006. I look back and wonder what happened to this artist? We are one and the same, and yet I struggle to recognize her. This drawing is nothing like my style today, which feels rushed and chaotic. I miss this version of me I think. I wonder if she is tucked away somewhere. That’s it gets as we face different expiriences it has a way of shaping our attitudes, desires and goals in life. But that “real you” you’re searching for is buried deep down within u. Look and u will find her..